I had dinner with several college friends with a different professor tonight, at a Turkish/Mediterranean restaurant. 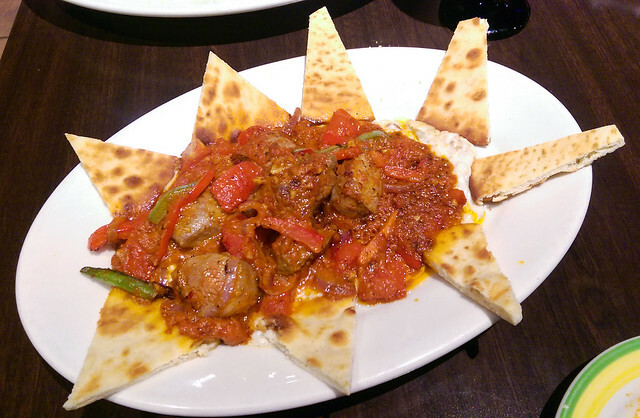 I was thrilled, because it was my first time trying Turkish food! 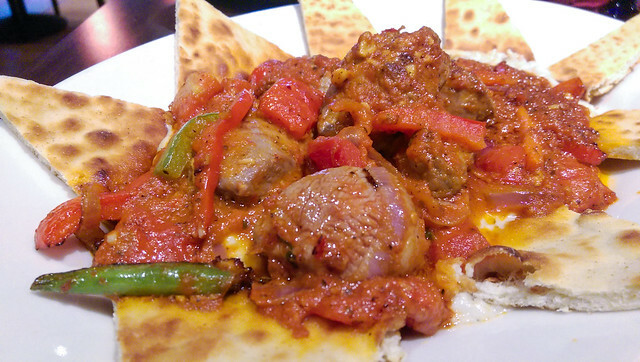 I checked out Cafe Artemis’ menu online and set my eyes on a lamb dish, Hünkar Beğendi. 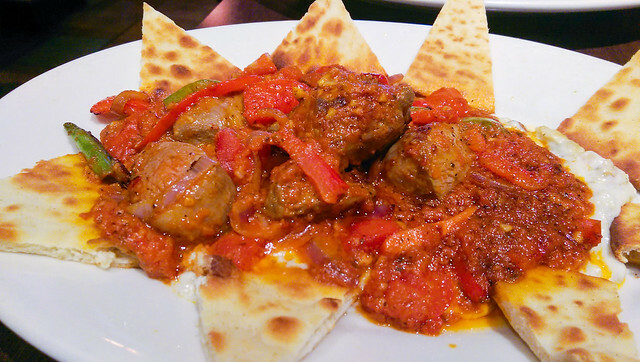 Cafe Artemis’ Hünkar Beğendi had lamb, sauteed with tomatoes, onions, garlic and bell peppers, and was served over smoked eggplant puree with pita chips on the side. If you were curious, this was a fantastic dish! The lamb was tender and medium rare. The pita chips went well with the tomatoes and eggplant puree. The first one is that the dish was created for Sultan Murad IV (1612-1640) and obviously he liked it. Where the dish was created–in the palace kitchens or in the kitchen of a moderate house that Murad IV spent a night on his way back from a hunting trip–is not clear. The second rumor is that the same dish was served for Empress Eugenie, the wife of Napoleon III, in Sultan Abdülaziz’s Beylerbeyi Palace in 1869, and she liked it so much that Abdülaziz promised her to ask his chef to give Eugenie’s cook the recipe. And the rumor goes that Abdülaziz’s chef was reluctant to share his recipe. I salute whoever shared the recipe later on.